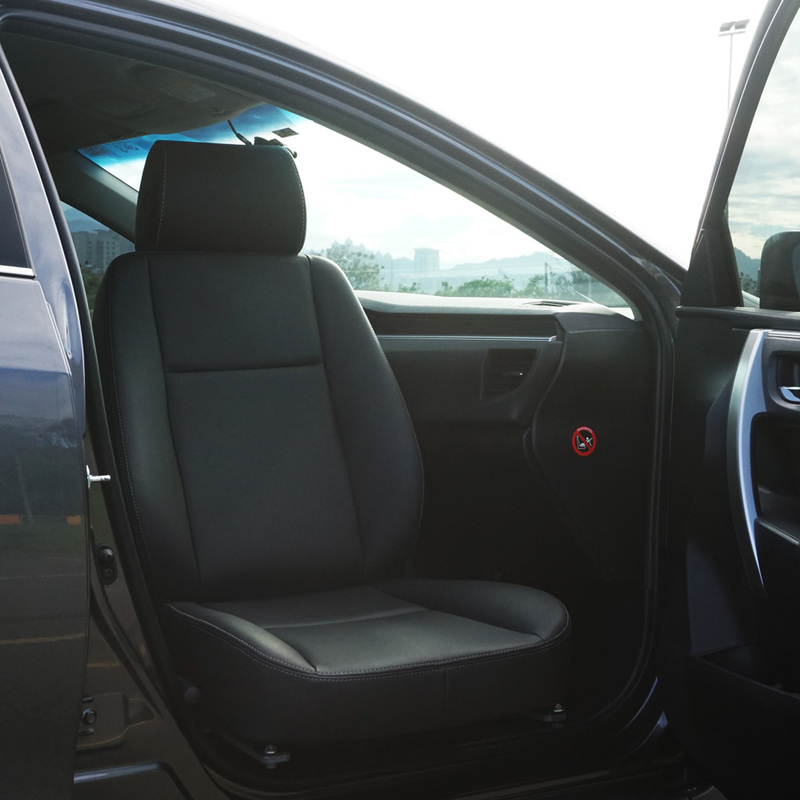 Turnout is a swivel seat designed for those who find it difficult to enter a vehicle or make a transfer from the wheelchair. Installed as a layer between the vehicle's floor and the car seat the Turnout enables the car seat to be rotated facing outwards. An added bonus is that the rotated seat will be a little bit further out, in other words, closer to the user.